Most engines couple good performance with decent economy. Enjoyable to drive. Attention grabbing looks. Styling not to everyone's taste. Ride is on the firm side. 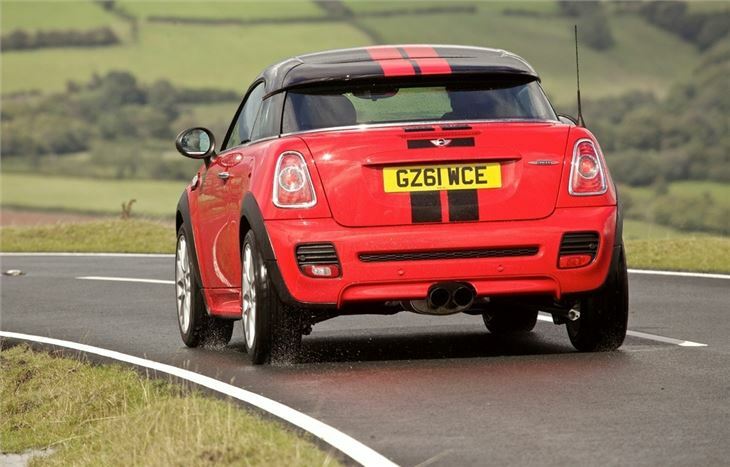 Excessive tyre noise on rough roads. No rear seats. 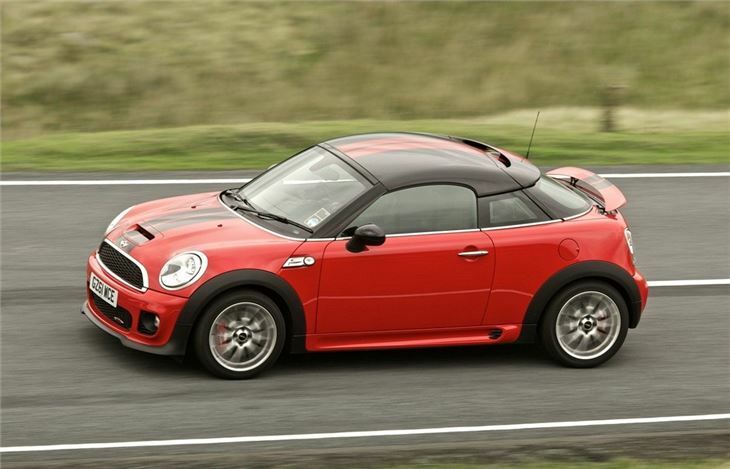 The MINI range continues to grow with every passing year. 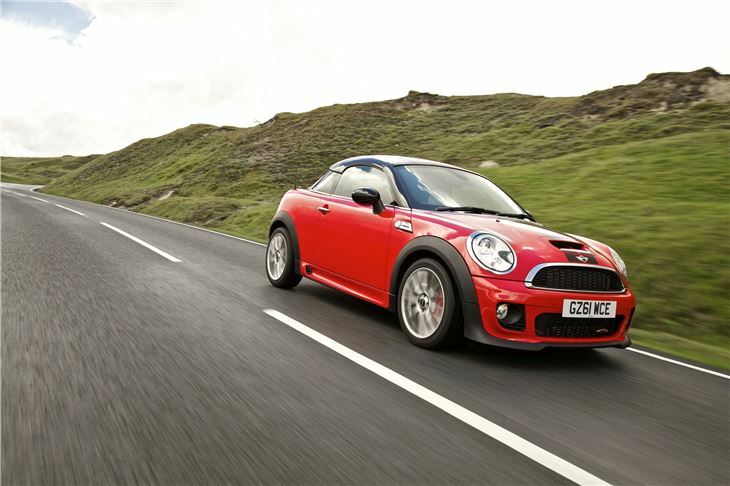 There’s the Clubman, Countryman and the now the Coupe. 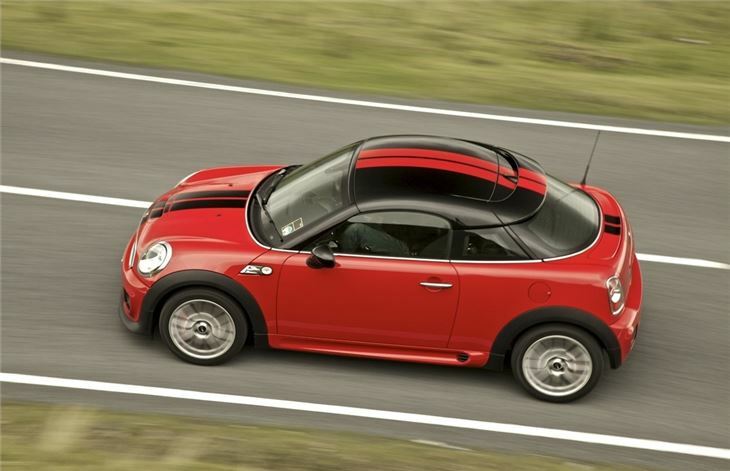 With two seats and a low roofline it certainly looks more purposeful, but the appearance will undoubtedly split opinion. 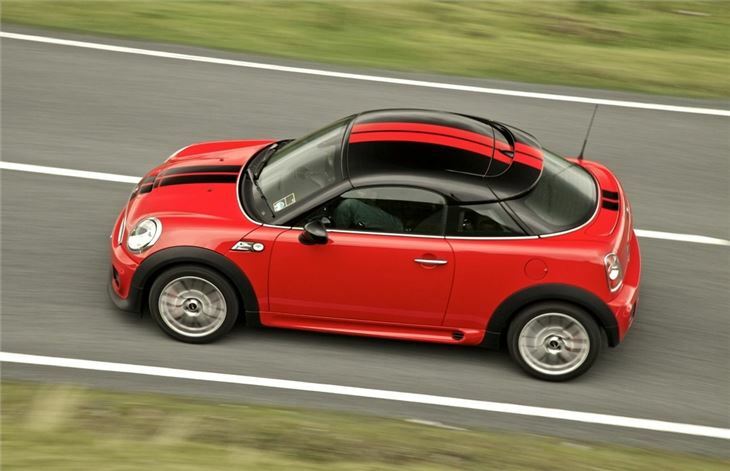 Whether you love it or loathe it, there’s no denying it’s the most driver focused model in the MINI line-up. It’s the sprightliest performer too. 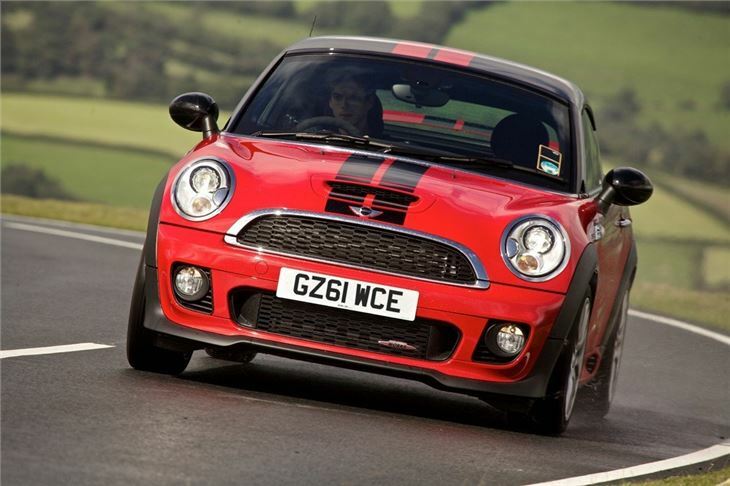 The range-topping 211 PS John Cooper Works model can accelerate from 0-62mph in just 6.4 seconds and even the 143PS Cooper SD diesel is swift. 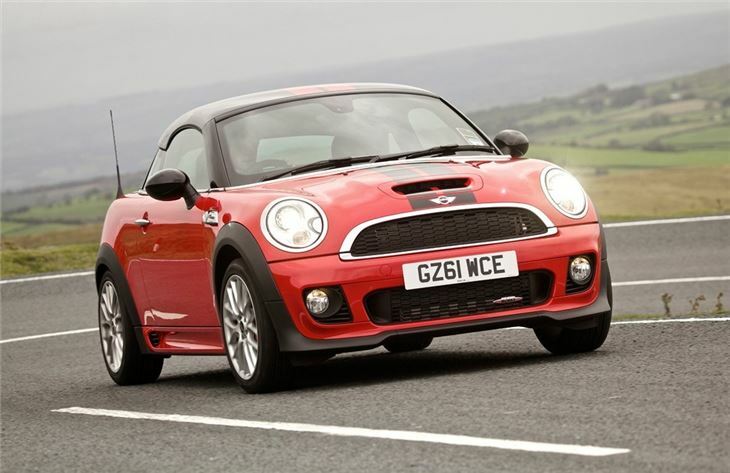 The range also features an entry level Cooper model with 122PS plus a Cooper S with 184PS. 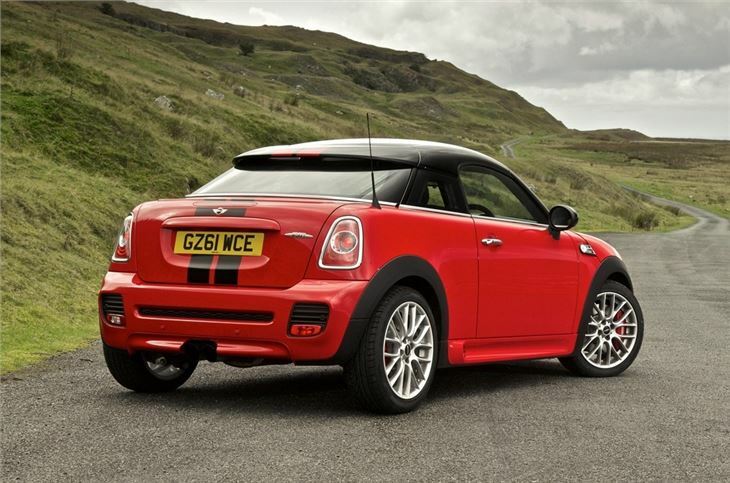 Regardless of engine choice the MINI Coupe is reasonably efficient. 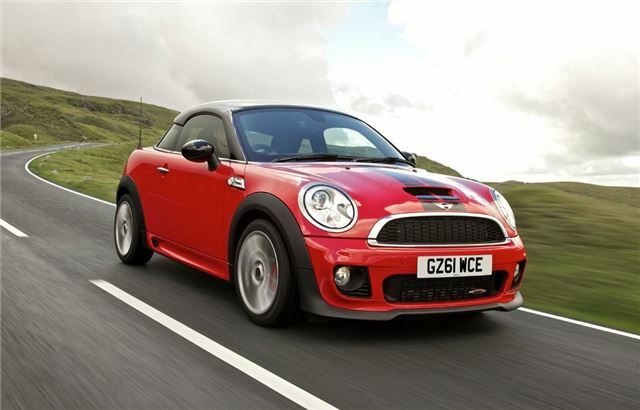 The diesel is, of course, the most economical, with an official economy figure of 65.7mpg and CO2 emissions of 114g/km, but even the John Cooper Works model manages a respectable 42.8mpg – not bad when you consider the performance it offers. It’s a playful car, offering enjoyable handling on twisting country roads. 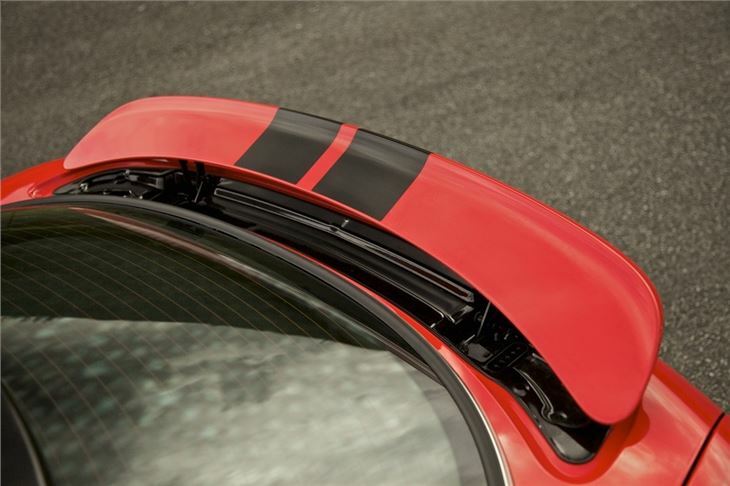 It is confidence inspiring and surefooted most of the time but mid corner lumps and bumps can make the rear of the car feel unsettled. On top of that the ride is firm and can be a little uncomfortable over rougher roads. 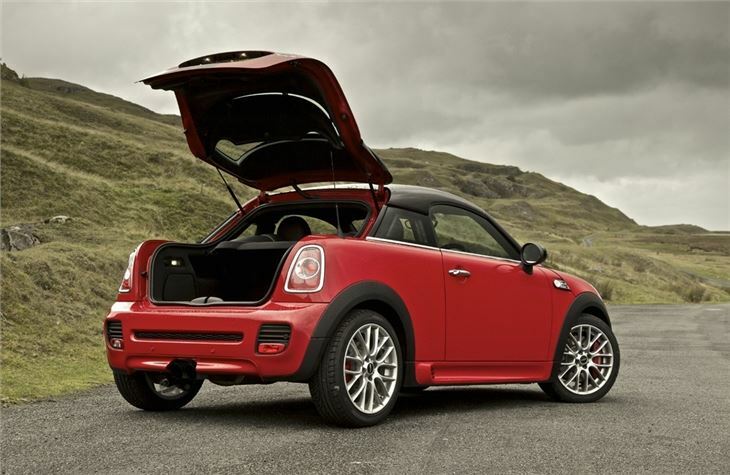 The low roofline means no rear seats, but as the Coupe sits on the same platform as the regular hatch the space left over gives it a useful boot of 280 litres, accessed through a proper hatchback rather than a small boot-lid. Unfortunately the low roofline can make the cabin feel slightly dark and closed in while rear visibility is poor, but the dash layout is stylish and there's a good level of equipment. 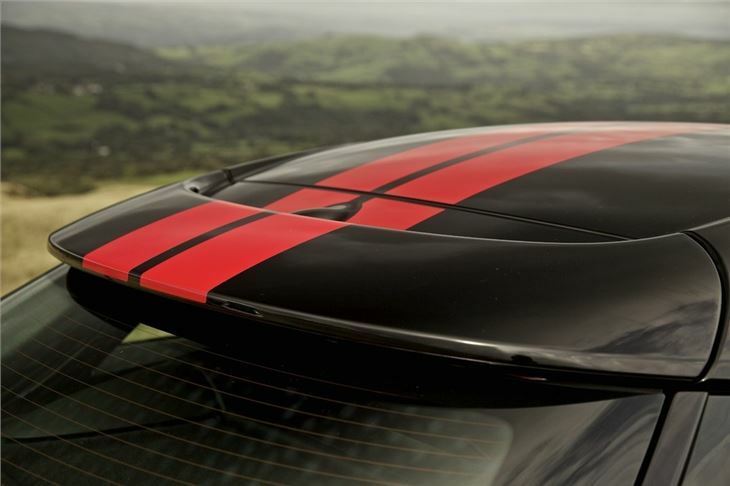 Standard equipment covers the most important features and there’s the usual breadth of customisation options. 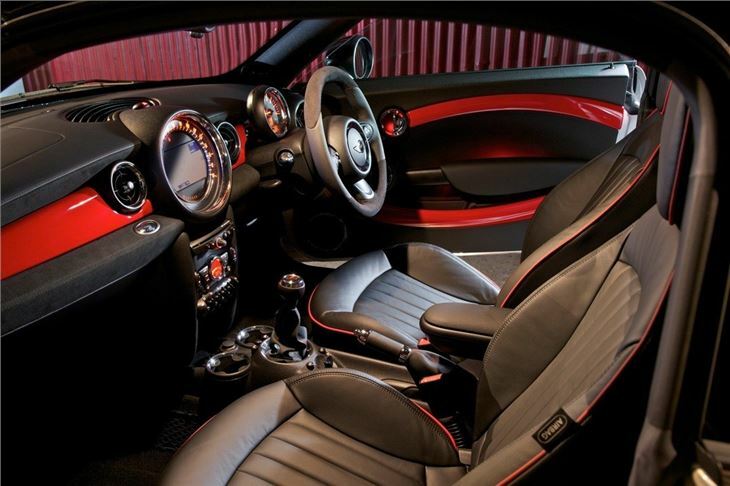 There’s a colour scheme or option pack to suit everyone, but the downside to such a broad range of optional extras is that they all add up and can make the final price significantly higher than the initial list price.